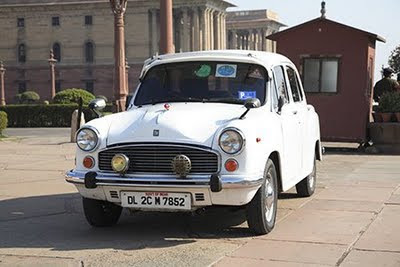 Among the many four and three-wheeled transportation options in India’s cities the Ambassador car is the flagship choice for style and an Indian icon. Manufactured by Hindustan Motors of India the cars were first rolled out in the late 1950s. While the design has evolved over the years the automobiles still keep their elegant vintage look. Affectionately referred to locally as Amby’s the cars are used in a number of contexts. They are driven by Government officials (or their drivers) throughout India. 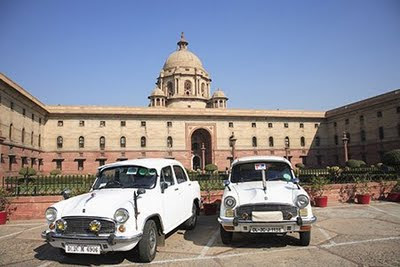 Pictured above are Amby’s parked outside the Secretariat North Block, offices for government ministers in New Delhi. They also serve as taxis and can be hired with a driver to tour India. In Delhi Ambassador taxis are painted yellow on top and black on the bottom. Hiring an Ambassador car for the day or longer is a comfortable and easy way to take in the sites of India’s cities. In Delhi charges are typically based on an eight-hour day or 80 kilometers within the city limits, whichever comes first. This will set you back approximately $23 with air conditioning and $21 without not including a tip for the driver. Ambassador Car - The Best. And Enfield Bike - Another Best. Wow, this brought back childhood memories of my Dad's old Cibaca/Binaca toothpaste(yes, only Indians from those times are gonna remember that toothpaste! )blue Ambassador. They are definitely suitable for Indian roads, and eh, lots of luggage space. I like the vintage style of these cars. They look big enough to ward off my frequent motion sickness! The Amby is still very popular in spite of all new cars getting launched every year. It is sturdy, cost effective, servicing/repair can be done in remotest place where you find any service station for newer cars, spacious and still manage to run faster than many other Indian cars. I'm so glad this brought smiles and memories. Haven't owned a car since i was a led-foot youth but would love to own one of these and drive around NYC or do a major road trip. I remember when we were on holiday in Sri Lanka and were driven around by our driver Harold in one of these old ambassadors - we still remember how he invited us back to his home for a meal cooked by his wife, but told us not to tell the tour company or he might get in trouble - don't worry Harold, we won't tell. It's a great way to travel isn't it? Very comfortable. this is one sturdy (yet comfortable) car! and if you've been through Indian traffic, those are two things you want! what a great post. it brought back so many memories from home! Those cars are awesome! We're leaving for india in a month... 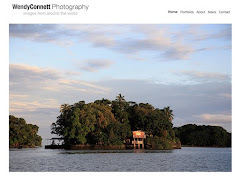 I'm looking forward to looking through the rest of your blog for some inspiration!